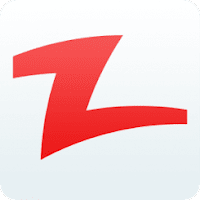 Zapya is a 100% free tool for fastest cross-platform file transfer & sharing! Join a community of more than 300 million users worldwide. Now you can transfer files across platforms from Androids, iPhones, iPads, Windows Phones, PCs, and Mac computers in an instant. It is easy to use and supports multiple languages. File transfer was never simpler than this. Transfer files without a mobile data connection or Wi-Fi connection. You will not need any data to transfer and there will be no cost. ☆ Share without cables, share without limit. Share files from device to one device or many devices without any cables. Now you can share photos, music, video, apps, PDF, and any other file types with unlimited file size. Imagine you have just finished an office party you have captured everything on a video, now you don’t need to wait for a moment to share the videos with your colleagues or friends. Just finish shooting and start sharing. Get speed 200 times faster than Bluetooth! Bluetooth/NFC/Airdrop. Transfers will look kid dish from here on. Multiple files of all types can be sent at once to a group of friends. You can connect to up to 4 devices simultaneously. Share with as many friends as you want without any USB, internet or without using any of your data. Zapya can easily replicate and clone contacts, SMS messages, MMS messages, music, videos, apps and other data from your old phone to the new one in just one click. Zapya is an open platform mingling you and your friends. Please share only appropriate content responsibly. Be a proud Zapyan and enjoy the new wave of networking with a new style of sharing.